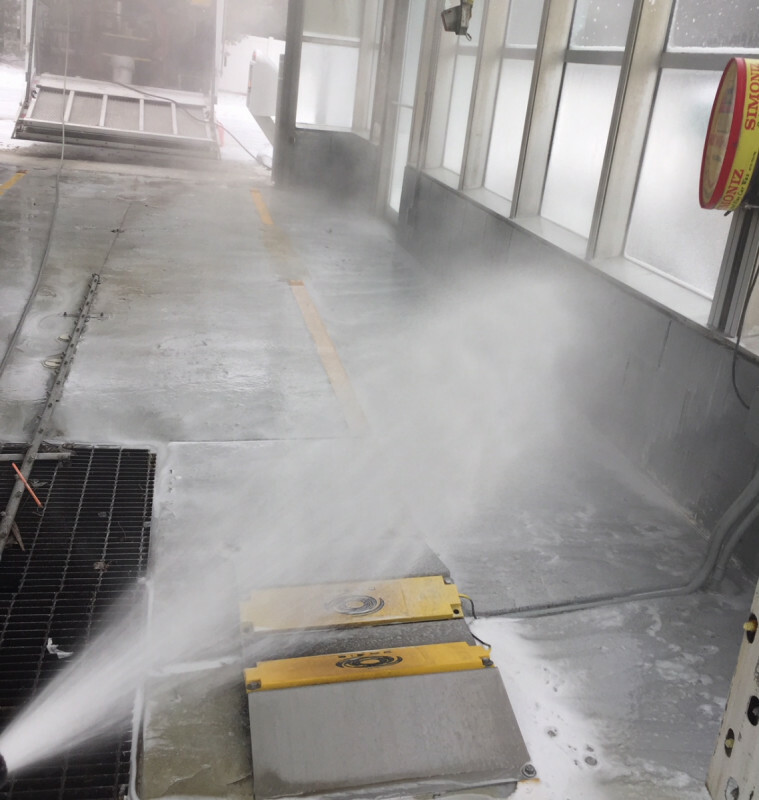 Badgerland Pressure Cleaning did an amazing job! The customer service was exceptional. 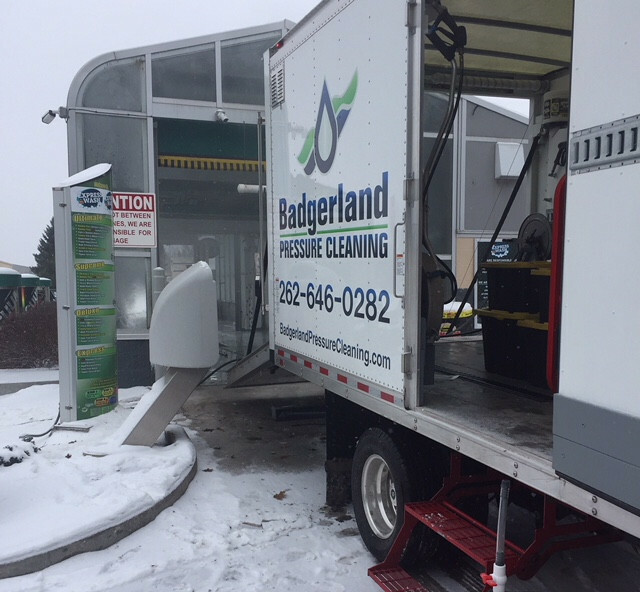 Jeff from Badgerland Pressure Cleaning came and cleaned my lannon stone chimney that was turning black. He also cleaned the moss from my roof shingles with no extra charge. In the little time I have known Jeff, he appears as a friendly and honest person. 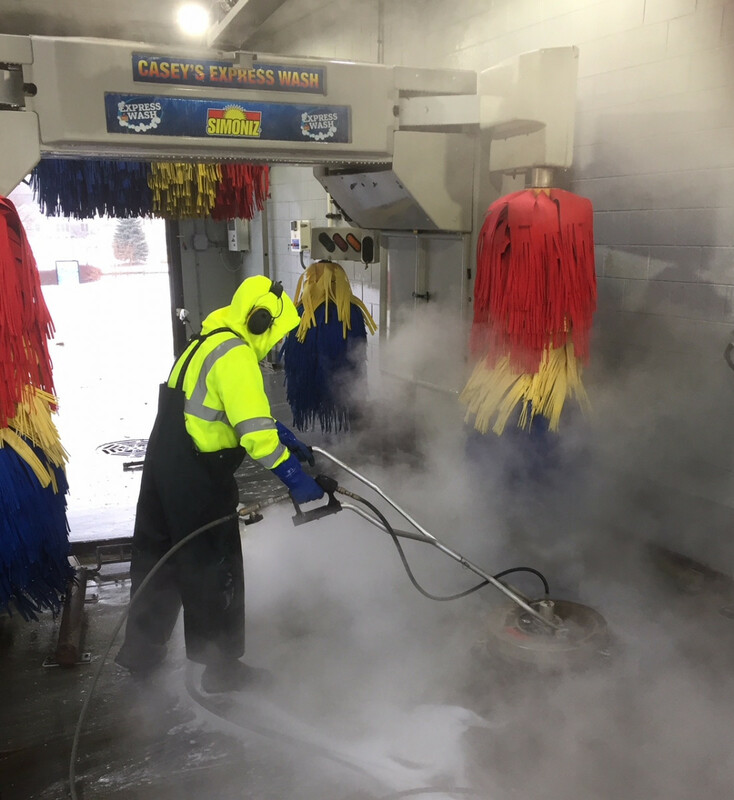 I would recommend him for anyone who may need his services..
Ice storm going on outside means a perfect day for car wash cleaning. 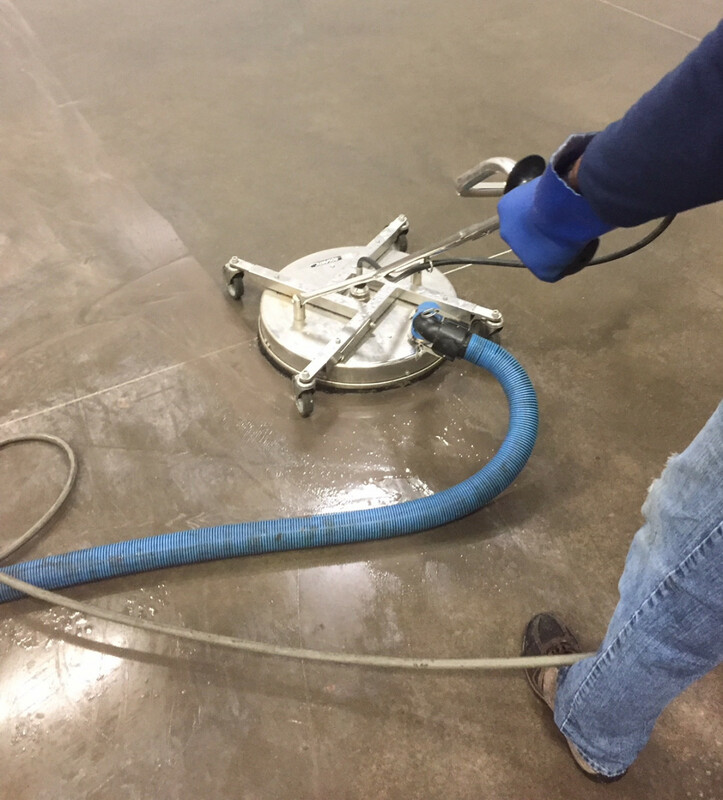 Jeff and his team used a combination of mechanical floor scrubbing and steam cleaning processes to transform our 30,000 square foot +40 year-old automatic screw machine shop concrete floor, caked with decades of oil and grime, into a “like new” surface which actually had some for the original finish still intact. 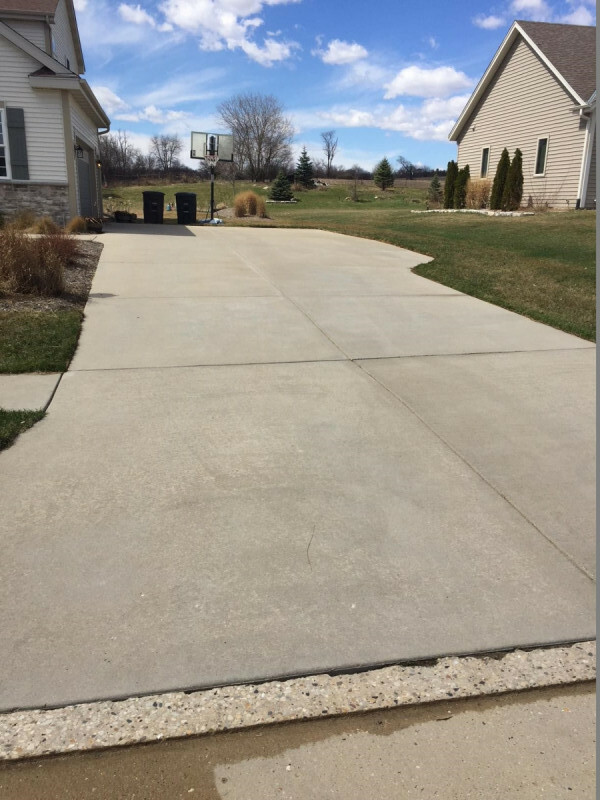 Results exceeded expectation and Jeff personally took extra steps to complete the job the right way; without me asking. 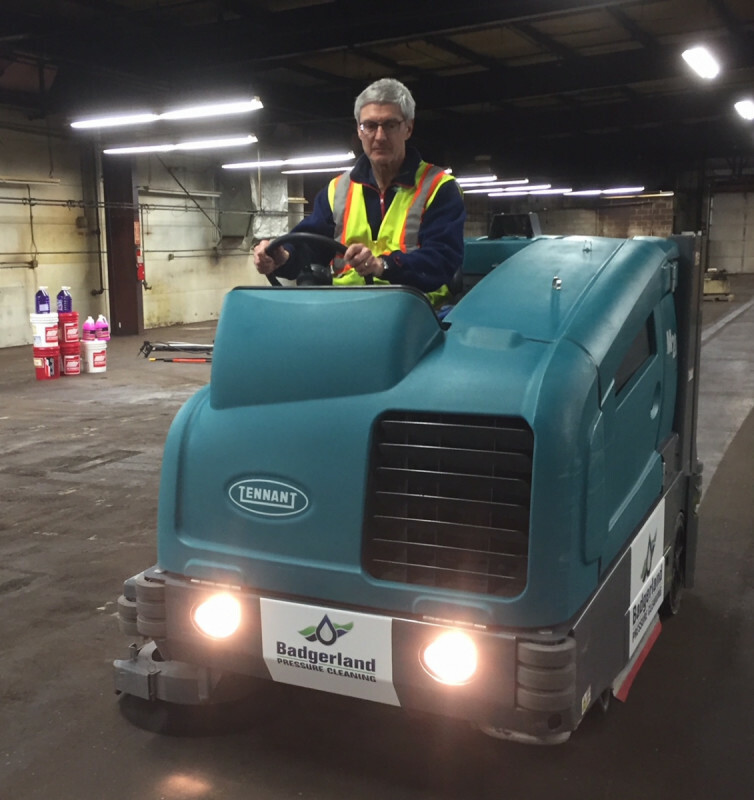 I’ll definitely bring Badgerland back in for more work on our other floor cleaning / building rehab projects. 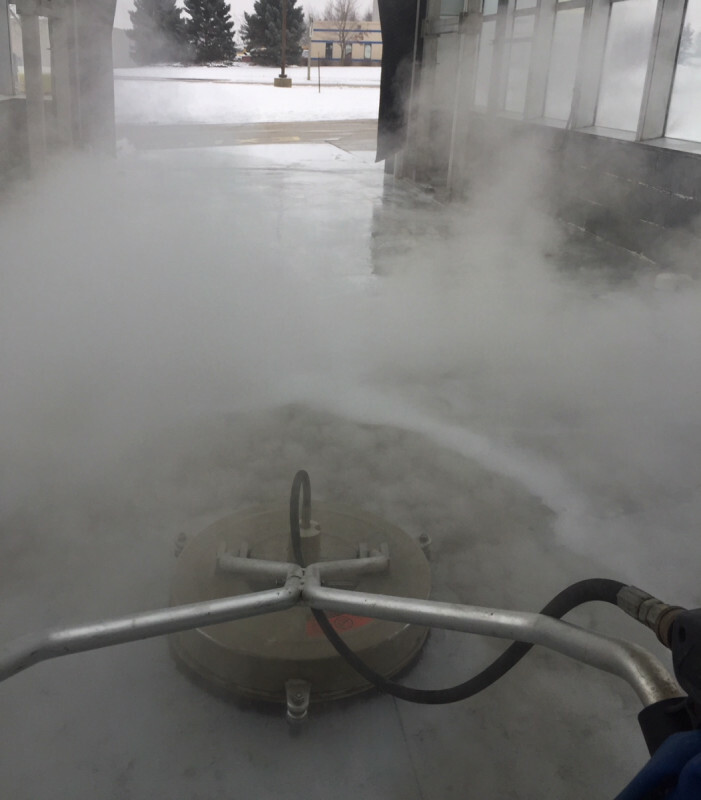 The Badgerland Pressure Cleaning crew was back at it today, working in a large food factory drive in freezer. The cleaning begins with John scraping up the heavy build-up, followed by several passes by the Mosmatic surface cleaner and really hot water. 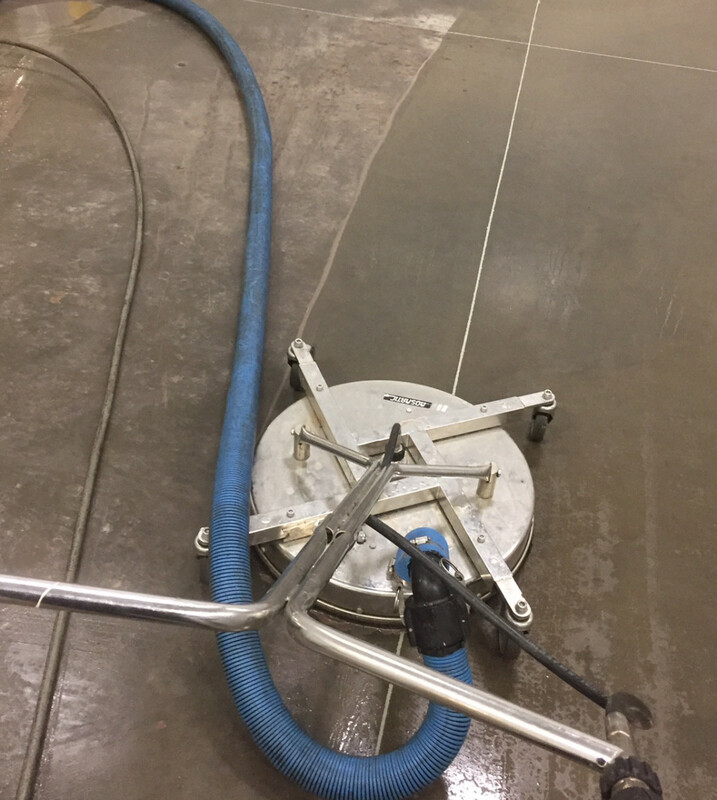 The end result was a spotless floor, looking like the day it was put in! 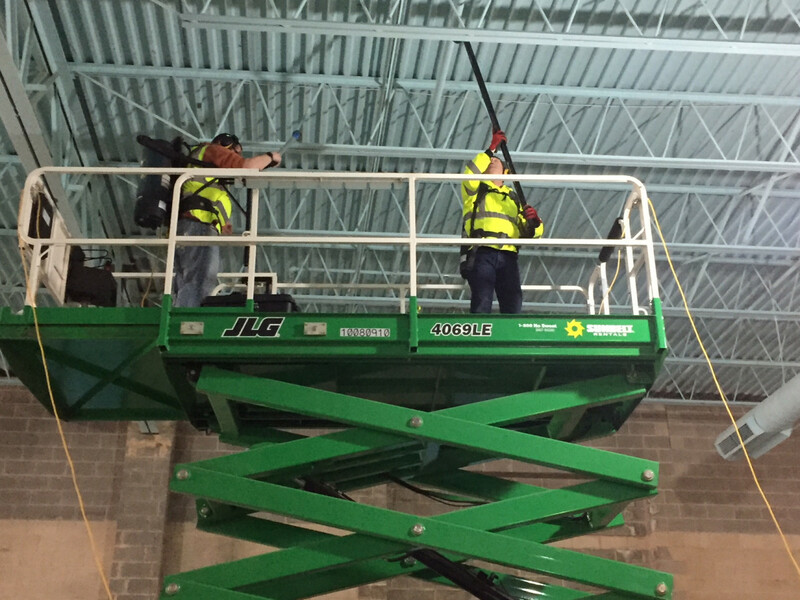 Our cleaning crew helped get this building ready for the owner and tenant. The right tools, right degreaser and hot water got this factory floor looking really good! Excellent job, better results than anticipated. 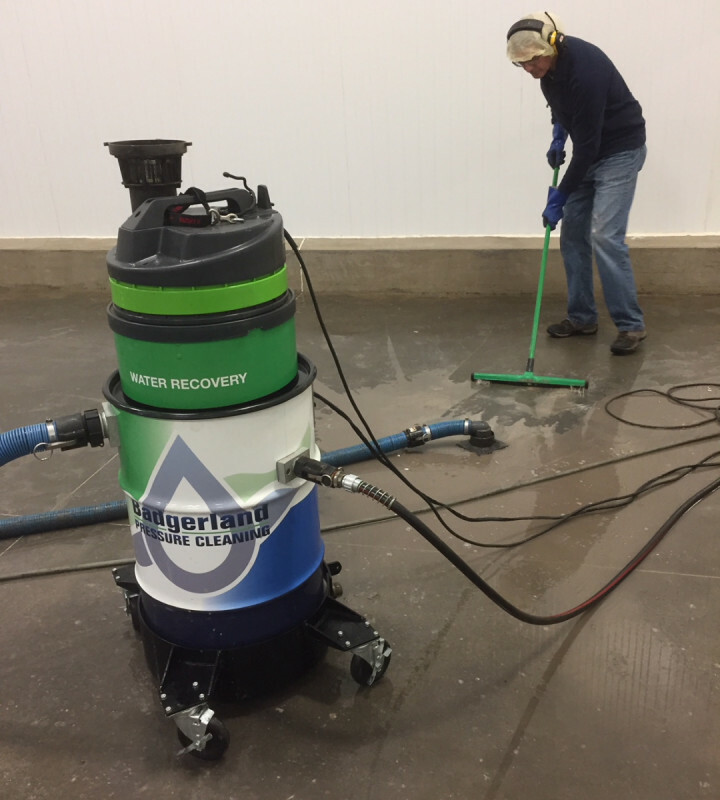 Jeff and his crew tackled a large oil soaked warehouse floor cleaning project for us in a timely and professional manner. 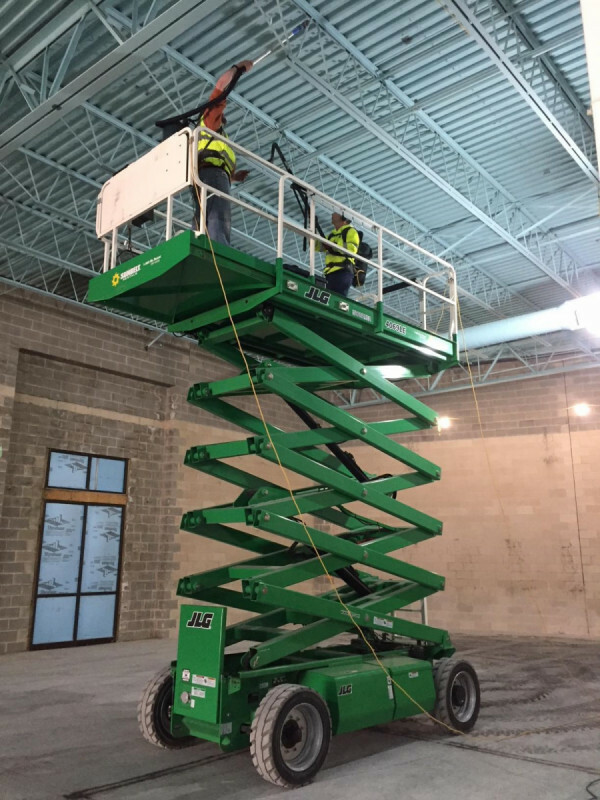 They have very nice industrial grade equipment and pay attention to the details. 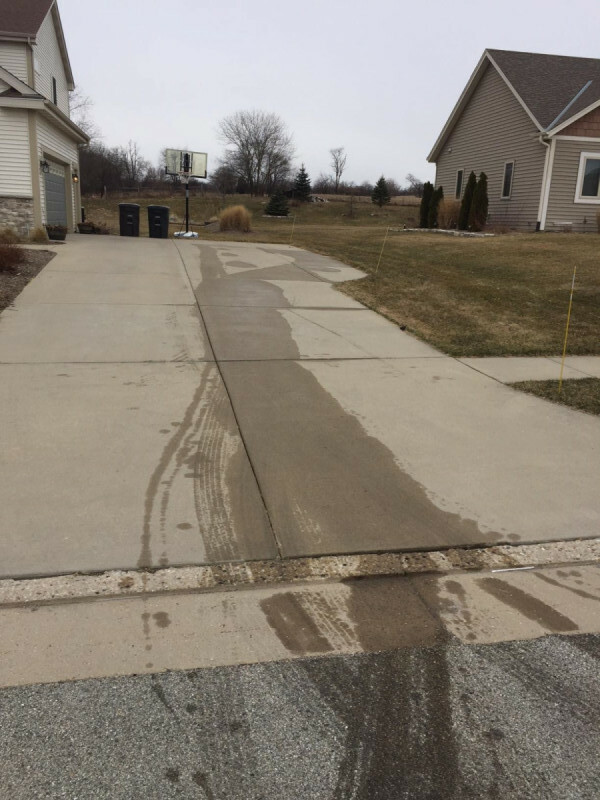 I would absolutely recommend Badgerland if you’re considering hiring a professional pressure cleaner! Job well done! 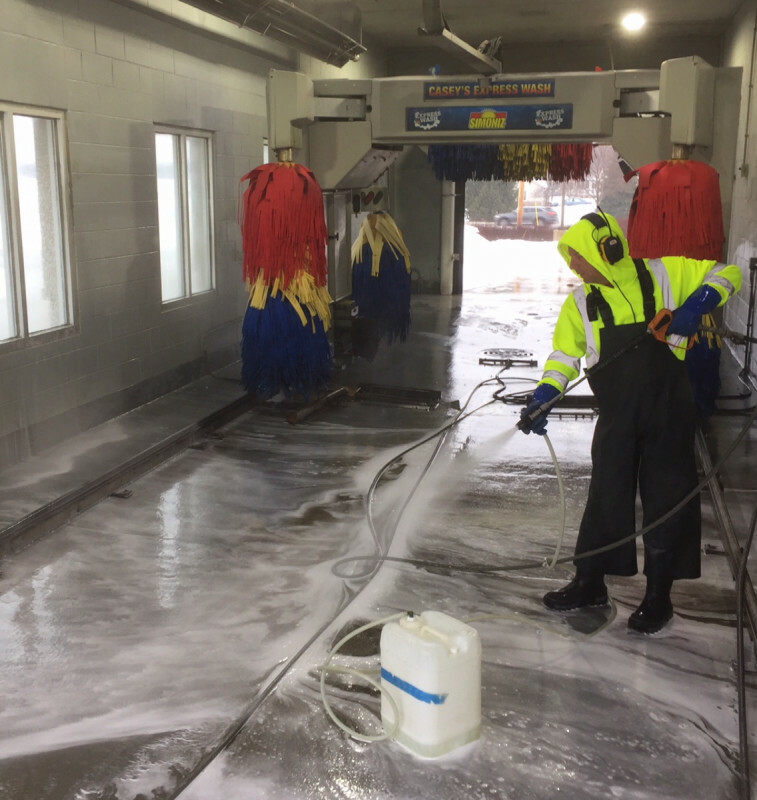 Working at another car wash. The outside temp is a balmy 8. 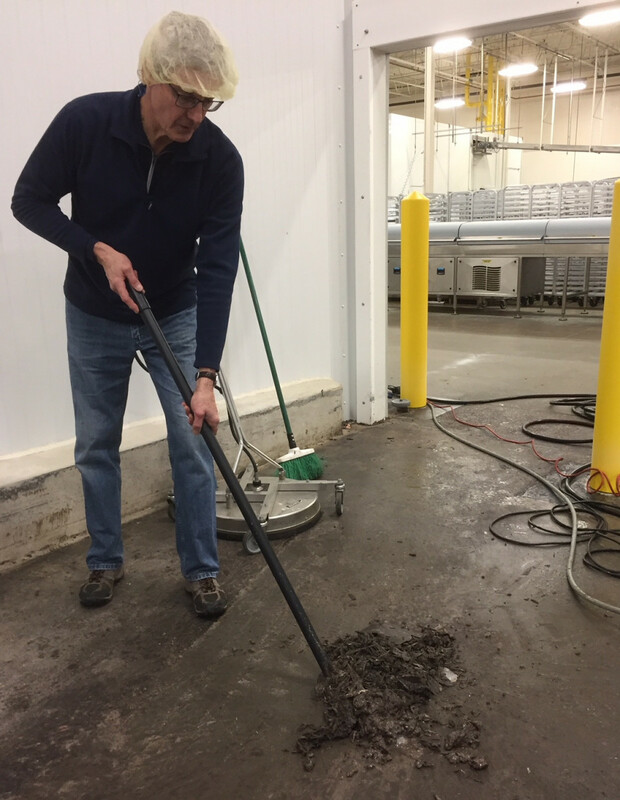 Jeff was a pleasure to work with at our new Self-Storage facility in Hartland, Benchmark Secured Storage. 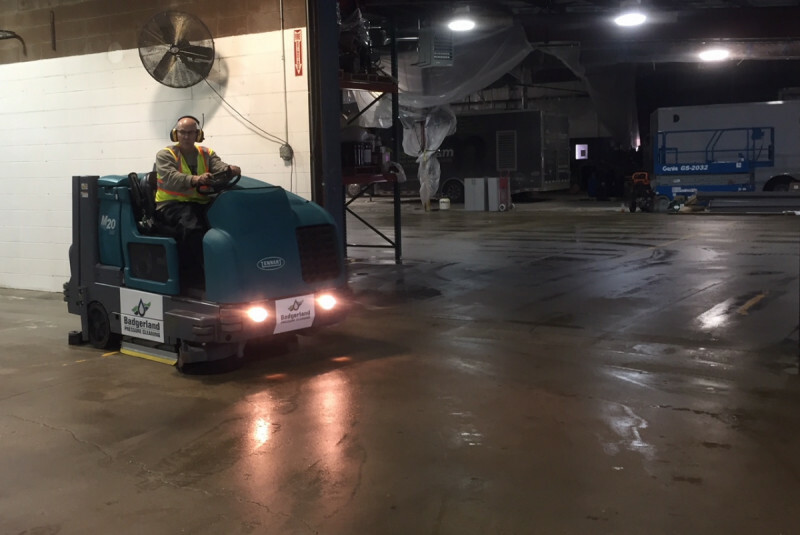 He and his colleague did a great job cleaning our office and facility floors and ridding then of construction dust and grime. His operation is very professional and Badgerland was more than willing to fit us in under a tight opening timeline so that our floor was ready for new tenants. 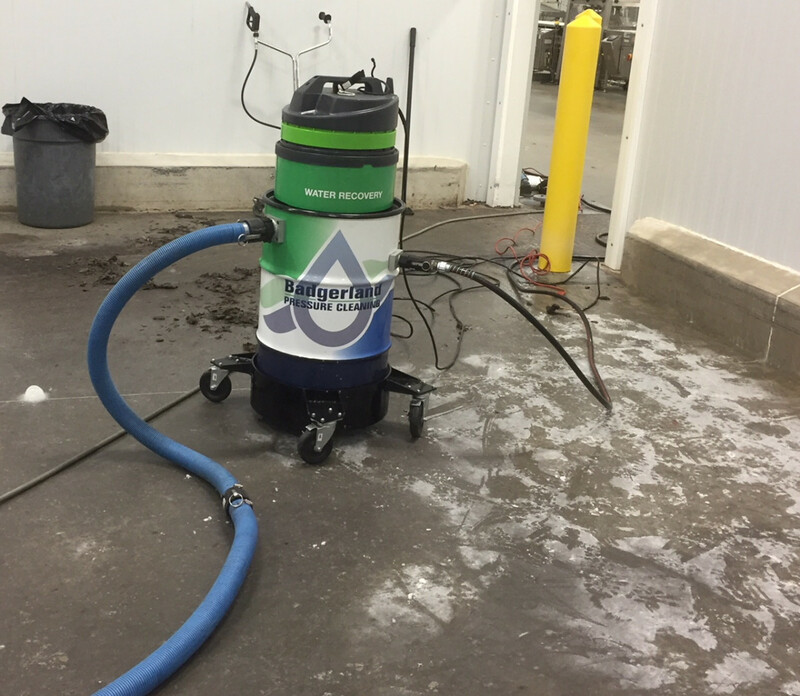 I would highly recommend Badgerland Pressure Cleaning and we will be using them again at Benchmark Secured Storage.